Alright, I admit, the title of this one is a bit misleading. But I want to be completely honest about my study abroad experience and talk about the highs and lows, specifically when I returned home. The moment I stepped onto US soil, I was ready to go back to Europe. I didn’t have a job lined up, foolish on my part I know. I didn’t want to worry about searching for a job before I left for London, I was already stressed out enough. So instead I told myself that as soon as I got back I’d start looking. Well things didn’t go quite according to plan. Thinking back on it now, I know I fell into a bit of a depression. I had just come from living in one of the most exciting cities in the world to return to a rather dull city in Ohio. I didn’t know what to do with myself. For most students, they’re heading back to school after studying abroad, but for me since I actually missed my graduation while in London, I had nothing to come back to. I wasn’t motivated to do anything, to go anywhere or to see anyone. I put off my job search for as long as I possibly could. I knew part of my problem was that I wasn’t leaving the house, but I had no desire to find a job. I only wanted to sit at home and edit photos while reliving my time abroad. My family was frustrated with me and I was frustrated with myself. Why hadn’t I prepared for this? Finally, enough was enough and I forced myself out of bed. (Okay plus a lot of pressure from my parents.) I filled out countless applications, but particularly in the photography field, it can be hard to find work in a smaller city. It was almost five months later, but I eventually found something. It was the step in the right direction that I very much needed. So the next logical step for me was to start saving and plan another trip. Luckily at the time a good friend of mine was just about to graduate and she also wanted to travel. We then started planning a month long journey across Europe. And I was doubly blessed this time, my job was actually allowing me to have that month off, so I didn’t have to worry about finding work when I returned. If you’re planning on studying abroad, it’s no question that you will have endless wonderful memories, but also be prepared for that aching in your heart when you come home. Still, it’s the kind of feeling that’s worth every minute. I am a different person than I was before I left and while I miss it every day, I am extremely grateful for the experience and wouldn’t change a thing. 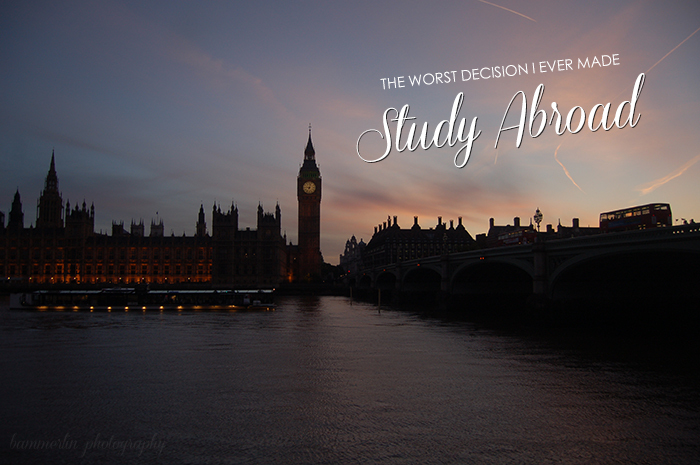 That for me, was why studying abroad was both the best and the “worst” decision I’ve ever made. Very well written! Oh, I can relate! After having spent one year studying in Ireland and one year in Paris, my wanderlust is greater than ever. (In fact I’m currently planning my next stay abroad, hoping to move again in August.) I spend all my savings on travels, haha – memories are worth so much more than material goods, if you ask me! I think the trick is to find joy in the little things as well as the great experiences. Sometimes I have to remind myself that even though my next adventure might be months away, the quiet life with good friends and cups of coffee and flowers on the table is also very valuable in itself, and we are so privileged! All the best from a sister soul in Oslo! Thank you so much for the sweet comment Synne! Studying in Ireland and Paris sounds absolutely wonderful! I hope all goes well for another move in August, how exciting! I completely agree, I went through a bit of a phase last year of buying too many beauty products and I’m really regretting it, I wish I had that money now to spend on planning a trip! You’re exactly right, I really have to remind myself of the same thing. I have to remember that even if life isn’t quite so exciting here, I am quite lucky in what I do have! 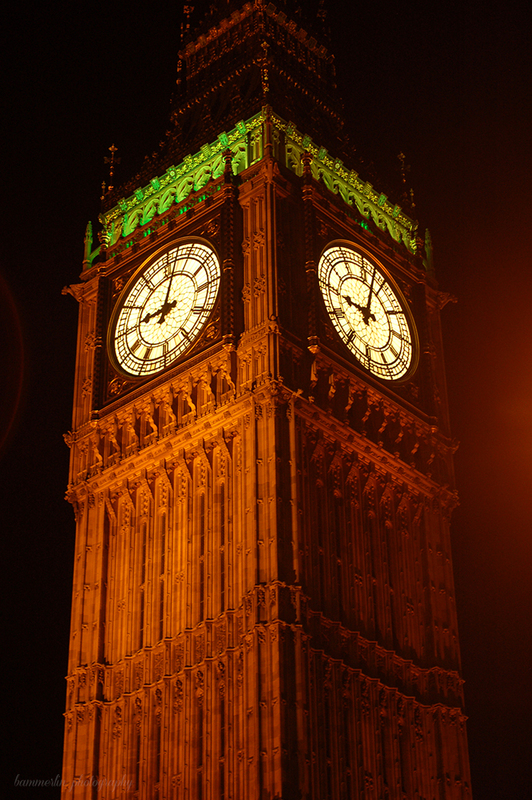 I’ve very recently gotten into photography, and that picture of Big Ben is outstanding!! I have no idea how you managed to get the image so sharp in what i imagine is a low light situation. I think it’s definitely true what they say about how people always want what they don’t have, haha! I see so many people in Europe talk about moving to the US and vice versa! I’m glad you’re having a wonderful time in LA and I hope you’ll have a chance to stay longer someday! 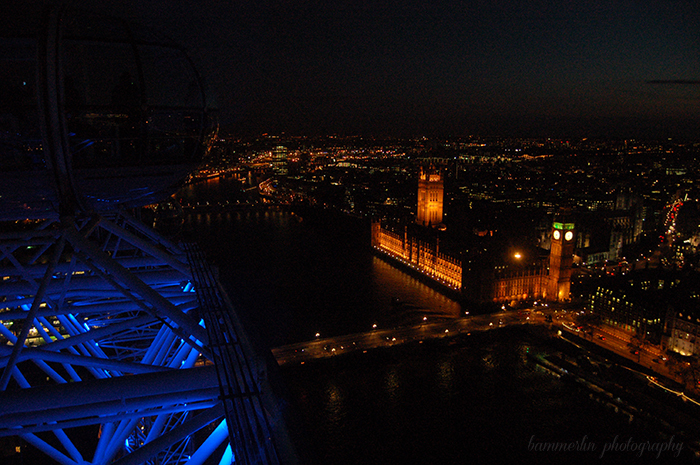 Would love to live, work, study or anything in London. Seriously it would be such an amazing experience for me :) You’re lucky. I hope you’re able to someday! It was such a wonderful experience in such a beautiful city! Im really glad you posted such great information about studying abroad. Traveling has been a deep desire for me and I have always wanted to study abroad. Thank you for this wonderful insight. I cannot suggest it enough, it really was the most amazing experience! Look into it, you’ll never regret it! I’m loving your Big Ben picture, it’s absolutely gorgeous!!! I’m in London right now, visiting my British husband and maybe it’s just that I haven’t seen that many sights yet but I’m not in LOVE with the city. I mean it’s definitely interesting to be walking through such old streets and I am usually in awe looking at the buildings and thinking of what could’ve been happening in this exact spot hundreds of years ago.. but it’s hard to picture it as a home. Though, I went to Prague a few years back and I am absolutely head over heels in love with it. I could have hours upon hours of conversations about the city. It’s as if you’ve stepped out into a Disney film while you’re in Prague. I’m very interested to follow your blog and see where your adventures take you!